Happn is an application that is designed for the humans that are shy in real life and tend to become a loner because of that. If you know anybody who’s like that, happn is the only way out. It is a combination of geographic location and varied features to signify what you’re upto so that people with relevant plans can join in and boom! The world is yours! We spoke to Didier Rappaport, one of the founder’s of Happn in detail regarding their launch in India and here’s what they have to say about it..
What makes happn different from the rest? We are the only dating app that will let you to find people that have crossed your paths, which we’ve made possible through the unique combination of real-time and hyper-location. We believe that dating should not be virtual, regardless of what is meant to connect. The app is designed exclusively to encourage people who have crushed and previously expressed a mutual interest in each other to meet for real. we have created the ‘See You There’ feature: with a simple click you could indicate on your profile what you are up to within the next 6 hours (it could be ‘grab a drink/coffee’, ‘go for a walk’, ‘catch a movie’, ‘go for a walk’…) so that people around you can react upon it and invite you to connect in order to share an activity with you. What trends have you observed in the online dating sector globally and in India? The vision towards online dating has changed a lot in India and people don’t look at it in a wrong manner, it is acceptable by them and also given a shot, our users say so. It is easy to say through text so, this is what you can do with happn, And unlike tinder you can know each other well and then decide about your personal choices. In this era of applications happn is an addition to the flexibility. What is the size of the market you are currently competing in, both in India and the world? How much is the share of Happn in this market? Our market has flourished and it is huge now. We are with the entire European market, Inidan market, France, Brazillian market so we can say we are global and there isn’t any place where one has considered us to be a stranger in this global world. What are the marketing plans for Happn in India? Our marketing plans with India focus on a few objectives, that is promoting it in Indian culture with the love and compassion also to bring in a change among Indian’s as this is something not everyone is used to. A brand ambassador is must because that person has a multiple choice of audience that will listen to him and follow him. 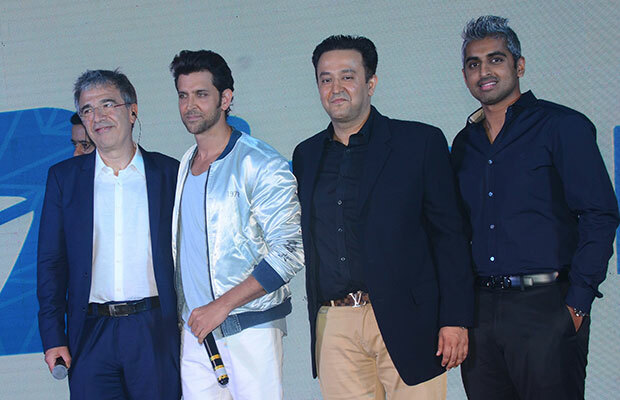 We have Hrithik Roshan as the brand ambassador for Happn because Bollywood is a culture in India and that’s how we’d like to add another culture. Details on the funding received till date? We have received fundings from the top most globally and we are playing in billions. We are on the top and also in collaboration with the Indian market hugely. Our business model is a two fold thing. First is where people can use the application for free and a few functions in it that can used via payment or future subscriptions. The second one is where we allow brands to communicate with us and promote each other. How do you plan to grow business in India? We have a CEO as of now who is handling us and we will be our major selves by the next six months. What is the gender ratio of Happn in India? We have 65% men and 35% women. Previous articleAfter Vinod Khanna’s Picture Goes Viral, Wife Kavita Khanna LASHES Out!